Commissioner of Police Brigadier-General Sitiveni Qiliho. 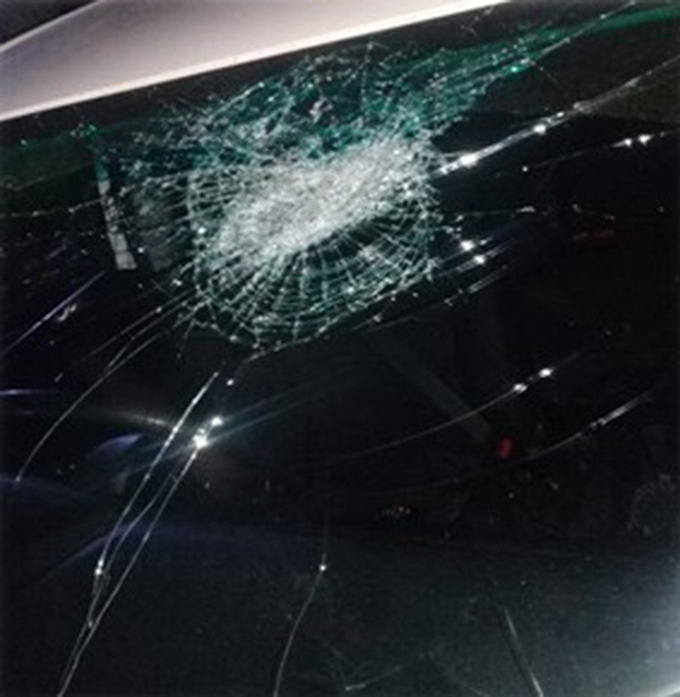 5 men are in custody after they stoned a Police vehicle when two Police officers had gone to attend to a case of suspected drug possession. This incident happened on Sunday at Barara Flats in Lautoka. Police Commissioner Brigadier-General Sitiveni Qiliho said the attacks on his officers have been frequent but the Force has not been publicising the issue. 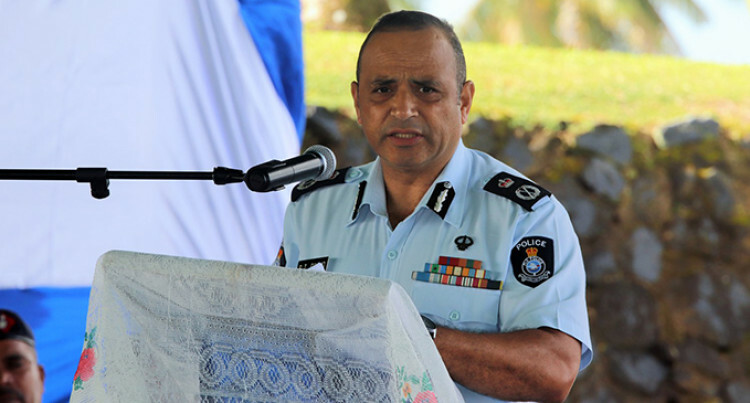 “This is something happening regularly and we have taken it in our stride quite often and do not publicise the assaults and attacks on officers who attend to calls from Fijians to investigate various crimes,” Brigadier-General Qiliho said. The Police vehicle that was stoned in the West. He said that as the Force steps up its war against drugs, they were expecting the physical attacks on Police officers to be frequent. “We are expecting more attacks on my officers as we increase the battle in the fight against drugs. Police has held major raids almost daily and netted millions of dollars worth of drugs. As the number and frequency of these raids continue, the drug pushers are getting desperate to keep Police officers at an arm’s length, even if it means resorting to violence. 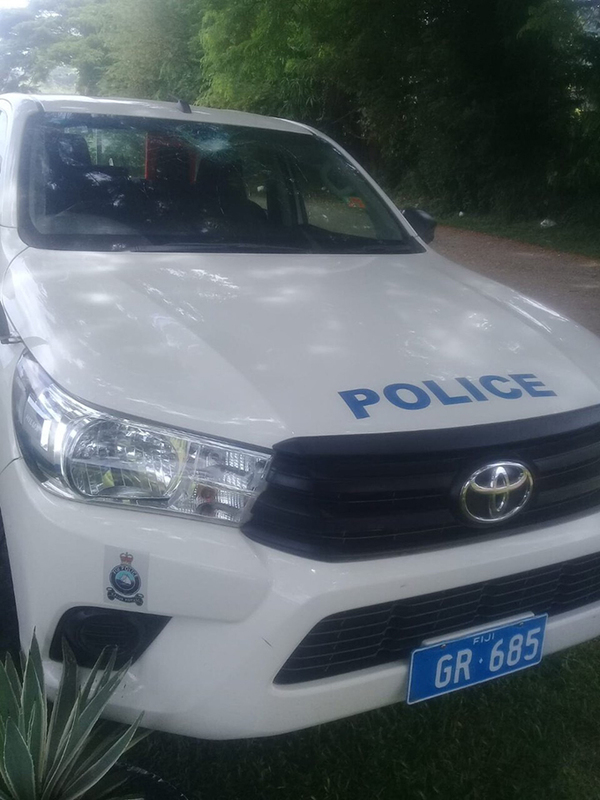 The Fiji Police vehicle that was stoned in the West. Brigadier-General Qiliho recalled that one of his officers is still recovering from an attack where he was hacked on his head with a cane knife. He said that despite these issues, they intend to push on with their war on drugs because lives of young Fijians are ruined daily because of abuse of drugs.